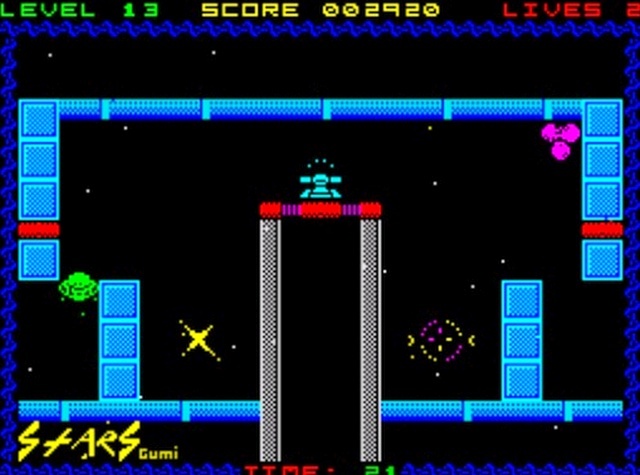 Indie Retro News: STARS(Gumi) - Catch the Stars for your ZX Spectrum! STARS(Gumi) - Catch the Stars for your ZX Spectrum! 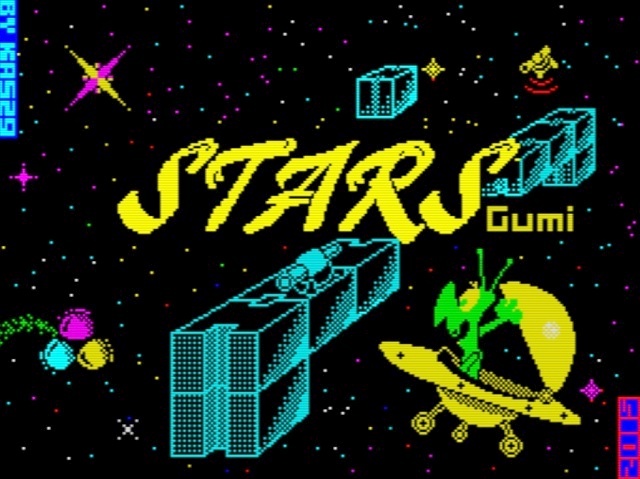 Possibly the last news for today as it's been a non stop weekend of fun, but just moments ago kas29 announced his brand new Arcade ZX Spectrum game of ' STARS(Gumi) '. In this fine gem of a release, you the player must guide the Alien Gumi in his little yellow spaceship, out to space to collect the stars to bring them back to the collection point to complete the level. But be warned, if you think there's just you and the stars out there, then you are sadly mistaken. As not only do you have non working stations and broken space constructions to deal with, but strange anomalies will also get in your way to stop you from pushing your stars to where they need to go! But with all that said and done, STARS features very well designed levels, lovely colours and a really upbeat soundtrack which I can't stop listening to. A very enjoyable game indeed, and if you have a ZX Spectrum, you owe it to yourself to download it!